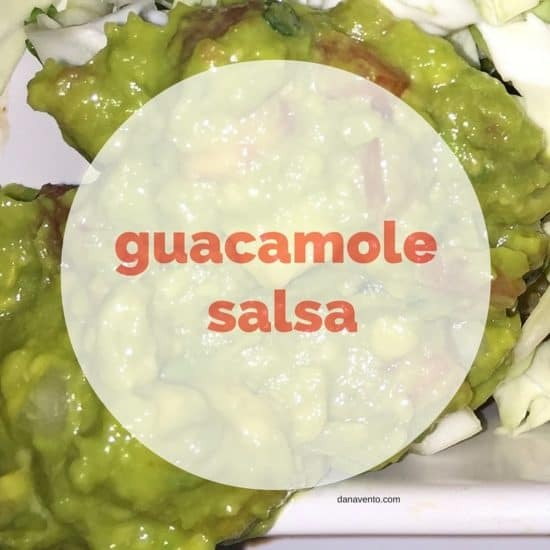 Guacamole Salsa - A fresh dipping alternative to plain old guacamole. One of my favorite flat belly foods is an avocado. I have come to find so many creative ways to really dish it up and it is so versatile. I prefer mine avocados a little more firm to bite, but when I make Guacamole Salsa, the softer the better! In our home, weekends signify “Bring On The Party” as work weeks are long and weekends are short, life needs to be celebrated. I create a party each Friday night and one of my staples for our dipping please is Guacamole Salsa. Get ahead of the curve on this one and make a double batch, take no chances as I can attest to the power of this Guacamole Salsa. Don’t be afraid to purchase those softer avocados the make the best ‘moosh’ when you are preparing this and they are easiest to get that avocado pit out of! When I create this recipe, I have traditionally purchased petite diced tomatoes with green chilies in them, taking the work out of chopping up a tomato and relieving my fingers of the burn of those lovely little hot chili peppers, but again, your choice, just tips, and tricks before we begin. If you are a person that has LATEX allergies, this is not a food you would want to create. My son suffers from life-threatening food allergies and AVOCADO is a latex food that he does not consume. That said, I do not have that allergy. 1 Can of Petite Diced Tomatoes with green chilies, drained. Add Chips to a Bowl and serve with Guacamole Salsa. When the season is appropriate buy the red, white and blue chips it makes a great presentation for the Summer Holidays. During the Fall and Winter holidays, you can always do a play on red and green, and dress it up with a few sprigs of red bell pepper strips to give it a more festive bolster and around pumpkin time, use orange bell pepper strips! This recipe rocks each holiday, party and season and the ingredients are always in season! During the Fall and Winter holidays, you can always do a play on red and green, and dress it up with a few sprigs of red bell pepper strips to give it a more festive bolster and around pumpkin time, use orange bell pepper strips! This recipe rocks each holiday, party and season and the ingredients are always in season! Lavishly live parties, fun times and celebrations out loud with my recipe for Guacamole Salsa! What will you serve it with? YUM! Sounds like something that would make my husband feel like he’s over the moon. He’s all about both salsa AND guacamole. Perfect for him! I can’t stand Guacamole! I don’t even really know why! Everyone else I know seems to think it is the best thing since sliced bread but I just can’t get my brain around it! I want to love it, but I can’t….I do love salsa on the regular, though!! Soooooo delicious!!! I never tried preparing it myself though… And I’d never imagine it would takes 10 min!!! Thanks for sharing! I love salsa and guac but this just takes it over the top. I have to try this. I think I have everything I need. By the way, I had NO IDEA that avocado was a latex food! That is so good to know! Thank you so much for including that! That sounds really good. I already love guacamole. I never really thought about making it as a salsa though. That’s interesting. Love avocado as well. I would put sone milk on it then freeze it. It is nice to eat it cold while watching movies at home. I love this recipe! I like salsa and this is a must-try for me! I can’t wait to make it! Wow, that looks incredibly delicious! I agree, it does not necessarily represent any season and it would do great any day! This is the first time that I heard this recipe and it really looks great. I loove guacamole!! I could eat it everyday of my life hahaha. This is such an easy recipe and something that the whole family will enjoy! Add in some chips of your choice and this is an official snack for movie night or game night! I really like the convenience, simple snacks are always the best!